Raul's Automotive Inc. can service and repair your Mercury in Austin, TX, 78729 with our team of highly-trained service technicians. We are ready to handle whatever service or maintenance problem that crops up in your Mercury vehicle. Our staff understands the intricacies about the entry-level luxury American brand. When you visit Raul's Automotive Inc., our staff is ready and waiting to fix your Mercury vehicle and get you and your car back on the road quickly. We want you to face as little disruption as possible when you bring your Mercury to us. Raul's Automotive Inc. prides itself on offering affordable and efficient repairs at top-notch quality. We are waiting to service all your Mercury needs so give us a call at 512-331-0437 or stop by our service center. Our friendly staff is waiting. Affordable and honest!! Thank you for fixing my car so quick. I went in for what seemed to be a bad, squeaky break. Being a girl I thought my tire might fall right off. I called Raul's and they took my car in immediately. They called my back in about 1 hr and said it was ready to be picked up. I went in and they said they took my tire off and looked around and found a leaf wedged in the break pads causing it to make that horrible noise. WHEWW..... I was relieved when I found out I did not need a new tire or breaks. The BEST part, they did not even charge me to look at my car or to fix the problem. WOW, who does that? Thank you so much for being HONEST and taking good care of me. You guys will always be where I take my car! Thank you! I have always taken my cars to Raul's. They maybe a little more expensive( not expensive as a dealership), but it's worth it for the quality of work, and most of all the peace of mind that the job was done right. John and Javier have worked on or cars for many year and I will come back for any future work. Highly recommended! 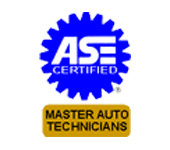 Great Service nice and fair pricing very professional I have used Javier to work on both of my cars and I will continue to use this company! I like when you get your car back they use those paper mats That tells me they go the Extra mile ! THEY FIXED MY PRIUS! IF YOU HAVE A HYBRID, CONSIDER RAUL'S BEFORE YOU WASTE MONEY AT THE DEALER! The HV (hybrid) battery on my 05 prius went out, and they were the only place in town that could fix it. After my normal mechanic told me that I "had to take it to the dealer" I called toyota, and they quoted me $4,200 to replace the battery. I stared freaking out, but then I found Raul's, and John quoted me about 40% less! I dont know what these other reviews are talking about saying Raul's is too expensive. They did a great job for much much less than toyota. Also Rauls gave me a 3yr warranty on the battery, while the dealer told me only 1 yr. AND they washed my car for me too, and vacuumed out the inside at no cost. They even have a wrecker service that will come get your car. I highly highly recommend them. I had a very odd request when my truck wouldn't start at the gas station across the street from Raul's Automotive. John was very kind and helpful coming to help me considering it's not something they normally do. He walked across traffic and assisted me attempting to jump my truck then realizing it was my anti-theft plug that was the problem. I really appreciate people like this who realize sometimes people just need a little help. We will definitely be bringing our trucks here anytime we need anything. They've gained two lifelong customers today! Take my vehicles here every time. John and Co. never sell you stuff you don't need. Super easy to talk to. Especially since I have no clue about mechanics. Keep up the great work guys! They repaired my shift gear cable for me and called me to give me updates. Raul's automotive fixed and replaced my part in a timely fashion and even showed me what the damaged part looked like. They seemed pretty genuine and I didn't feel like I was getting taken advantage of. It was also a bonus that they give discounts to AAA members. Definitely recommend! Came in to get an inspection today and expected to wait about 45 mins (which I'm absolutely ok with) and ended up only waiting about 15 mins because he inspected my car before his lunch! So grateful! Thank you so much for the quick and excellent service!! I definitely recommend this place for inspections! RAULS IS THE BEST!..... I recently took my Gmc truck to Rauls for some diagnostic testing to find out why it was running so horribly. I had taken it to a major chain repair facility to have it looked at prior to taking it to Rauls, where they kept it for four days and had no idea what was wrong with it. That nationwide shop said they needed some wiring diagrams before they would know what to do, and could take some time to acquire. Rauls had all the Hi-Tech computers and data to diagnose the problem within a matter of a few hours. Turned out I needed a new computer installed and programmed, which was no problem for the Master Techs on duty. It was fixed in about a day,and with no check engine light on anymore I also had them do a state inspection. I was very happy with the price and also the quality of the repair. If you are looking for a local, family owned and operated business thats reliable, then Rauls is your shop. Thank You!!! Thank you for fixing my car so quick. I went in for what seemed to be a bad, squeaky break. Being a girl I thought my tire might fall right off. I called Raul's and they took my car in immediately. They called my back in about 1 hr and said it was ready to be picked up. I went in and they said they took my tire off and looked around and found a leaf wedged in the break pads causing it to make that horrible noise. WHEWW..... I was relieved when I found out I did not need a new tire or breaks. The BEST part, they did not even charge me to look at my car or to fix the problem. WOW, who does that? Thank you so much for being HONEST and taking good care of me. You guys will always be where I take my car! Thank you! For a few days my truck seemed like is was running a little rough, after a few trips. The other day I backing up and my front wheels felt like they were grinding. As I work accross the parking lot from Raul's Automotive, I thought I would ask John to take a quick look. After just a few minutes he strongley urged me not to drive it, he said the wheel bering are shot and it would cause even more expensive repairs. It went in to the shop the next morning and was out by 4 PM the same day! And it didn't cost me an arm and a leg. THese people are honest and work fast. I will be taking my truck back to them again! Thanks Rauls'! Great locally owned, family, honest auto shop. I had my Prius battery replaced and am very satisfied. 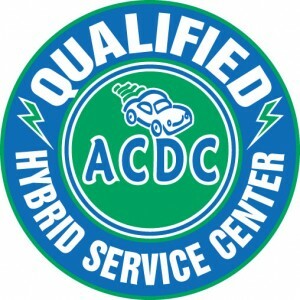 They offer full hybrid car service, don't worry they'll take care of you. I took my car to Raul's and had all four wheels and tires replaced. I also had brake work done. They were friendly, professional and did an amazing job! I was so impressed that when my parents came to town and needed a headlight replaced on their hybrid car, I sent them to Raul's. They were awesome with my parents as well. I will recommend Raul's to everyone I know! John E. is an awesome, honest mechanic!!! These guys are great .. very trustworthy .. I've taken my family minivan there for years and these are the only guys I'd trust.